It never fails! The moment you purchase a new bag, you have tons of things to fill it up with! Well, the same holds true with luggage! If you buy it, you will travel. Not a commonly thought of present, but a much needed item for those who travel. 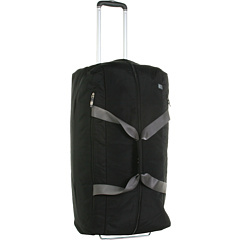 Nowadays, the popular luggage items are the bags that have four wheels as well as a handle. These make fantastic gifts and will, inevitably be used. Best colors to travel with are any color other than black! I remember after I purchased new luggage (bright eggplant purple) it was so easy to identify my luggage it made grabbing someone else’s luggage a thing of the past (thankfully!). Other popular colors are tomato red, honey yellow or sherbet orange. As most luggage colors are solid black, it helps to not only have an identifiable color, but also a leather luggage tag with all of the travelers’ contact information. 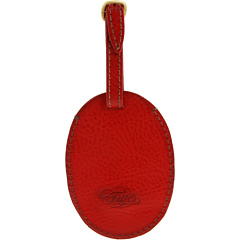 A leather luggage tag won’t tear off your bag’s handle, and again, is an easy identification. The coolest thing about new luggage is the various sizes of bags. Make sure you get a big bag, around 27 inches as well as a small bag, around 20 inches. Don’t need a suitcase? Try a duffel bag (with wheels). These bags are just the right size for that quick trip to Vegas or to the beach, or a long weekend; and fit in the overhead compartment of an airplane. This way you have any and all of your trips covered no matter how long your travel! It’s helpful to have many different sized bags as well. This will help cover all of your travel needs from overnight to several months. Having the right sized bag will make sure that, no matter where you’re traveling, you’ve got enough room to return home with plenty of mementos!